We all love to pamper our furry friends and nothing does that better than a trip to the groomer, right? In one woman's case, it was the worst possible decision. When Veronica Grine, of Albuquerque, New Mexico, dropped her Yorkie, Bailey, off for a routine haircut, it turned into a dog owner's worst nightmare. Grine, who says she had used the groomer — Ace of Hearts — several times before and love the experience. Usually, she would drop Bailey off at the groomer, and they would call when Bailey was ready to be picked up. This time, however, the groomer never called. When it got close to closing time, Grine was worried and called the groomer to check on Bailey. To Grine's horror, the groomer told her that Bailey had already been picked up. "Somebody did come in, they said they asked for my dog by name, Bailey, and that they charged them out and they left with the dog," Grines told KOB4. "It's been really rough these past couple days." According to Grine, the employee at Ace of Hearts told her that a woman who looked like Grine had come to pick up Bailey. It wasn't just a quick pick up, either — the woman calmly had a conversation with the clerk. "She said they carried on a conversation. She didn't ask the name, didn't ask the phone number, just checked her out," Grine told KSNT. 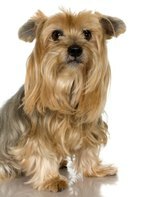 Grine says the groomer, who also breeds Yorkies, offered to give her a replacement dog. But Grine insists that no other dog could take Bailey's place. "They breed Yorkies and Poodles and they offered us. They did say it's not a replacement but they did offer us another dog, which nobody could replace our dog," Grine said. Grines has filed a police report and hopes to raise awareness for other pet owners, which is reasonable since this isn't the first time this has happened in recent months. In January, a dog was stolen from a groomer in Koreatown in Los Angeles.